When your job is transporting goods, it means coming into contact with a range of temperatures and conditions. 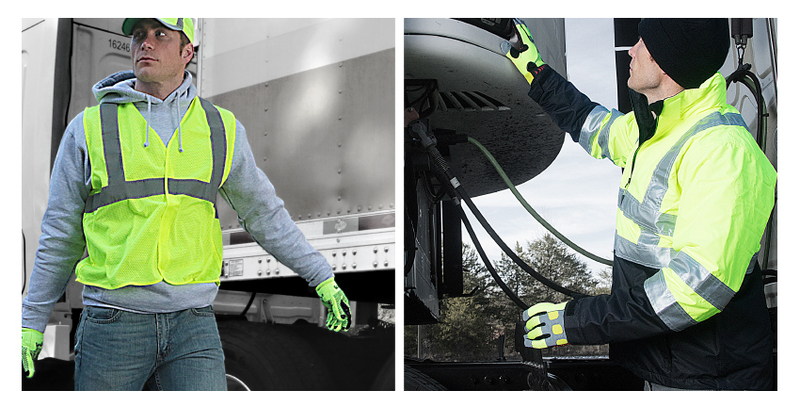 Dressing appropriately for all conditions you face - from the warmth of your cab to refrigerated trucks and deliveries in frigid winters or rainstorms - helps you get the job done and stay comfortable. When you are going to experience a range of temperatures and conditions in a single day, layering is vital for proper protection. Start closest to the skin - a proper base layer will help keep you comfortable while the wrong one will make you miserable, either too hot or too cold. Choosing the right coat, vest or insulated sweatshirt is paramount for overall warmth. This is because keeping your core warm (the torso where many vital organs reside) will promote proper blood flow to other parts of the body – a key goal of keeping warm. From pants and bibs to rainwear and wind protection, the right combination exists so you can adjust layers throughout the day to match the changing conditions you face. 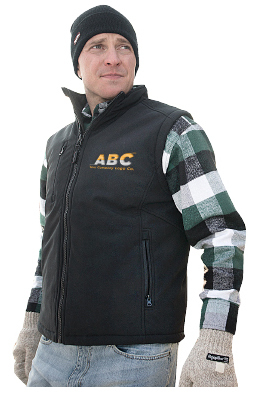 Also look for outwear that will allow freedom of movement so you can stay productive as well as safe and warm. High traffic areas, bad weather, low light – all of these things reduce visibility and hinder safety. Wearing ANSI certified HiVis gear helps keep you safe in low-visibility environments. Whether it is a mesh vest you put on when needed or a HiVis jacket you wear at all times, HiVis gear helps keep you safe. It is especially important to have an insulated HiVis jacket for very cold temperatures so that you can be visible and warm. 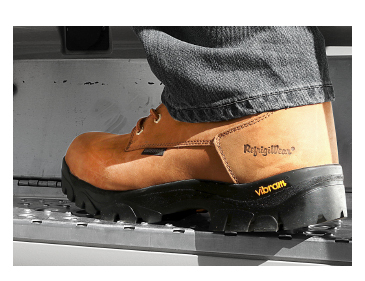 You need to build safety, comfort and warmth from the ground up, so start with your footwear. Slips, trips and falls are the cause of most workplace injuries. Proper footwear helps prevent these injuries by reducing the chance of slipping in hazardous conditions, such as black ice or slick floors. Proper footwear also provides cushioning and support for the feet and legs, reducing the likelihood of feet, leg or lower back injuries. Cumulative injuries are the most common in drivers – so the footwear you put on every day is one of the most important choices you can make. Making deliveries often means handling cold products, which results in cold transfer from those products to your hands Insulated gloves provide protection against the cold in the air and against cold transfer. While insulated gloves help with cold, options likes palm coatings or silicone dot patterns help with grip, and impact protection on gloves helps prevent injury from handling boxes or finger pinches. You can also opt for gloves with touchscreen finger tips or RefrigiWear’s Key-Right and Touch-Rite nibs so you don’t have to remove gloves and expose your hands in cold conditions. No, heat doesn’t just escape from your head. But if you protect every part of your body but your head, it will. 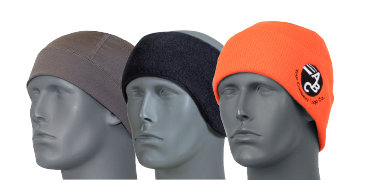 Use the proper headwear to keep vulnerable areas like the ears and face protected, as well as trap heat.